where early childhood is honoured as a phase of development. Opening spring 2019, from 7 am until 6 pm. for children aged 18 months to 5 years. Star Seedlings Family and Childcare Centre is a home-like oasis where early childhood is honoured as a phase of development. The beautiful environment, caring relationships and surrounding natural world will provide calm and consistency, supporting your young child to explore and discover their world, learning all the while. Our Centre will be free of technology teaching tools, such a recorded music, electronic toys and television. We will provide organic foods and natural play materials, songs, stories and traditional finger games, as well as participation in the domestic activities of caring for the home and environment. Families will be integrally included and nourished through seasonal festivals, parenting workshops and ongoing dialogue. Karen Weyler RECE, who is guiding this initiative as Childcare Director, is a seasoned Waldorf Early Childhood teacher of over 20 years. She was a founder of the Trillium Waldorf School in Guelph. As a teacher educator, she teaches Waldorf teachers at the Rudolf Steiner Centre Toronto, as well as abroad in China, Nepal and Vietnam. 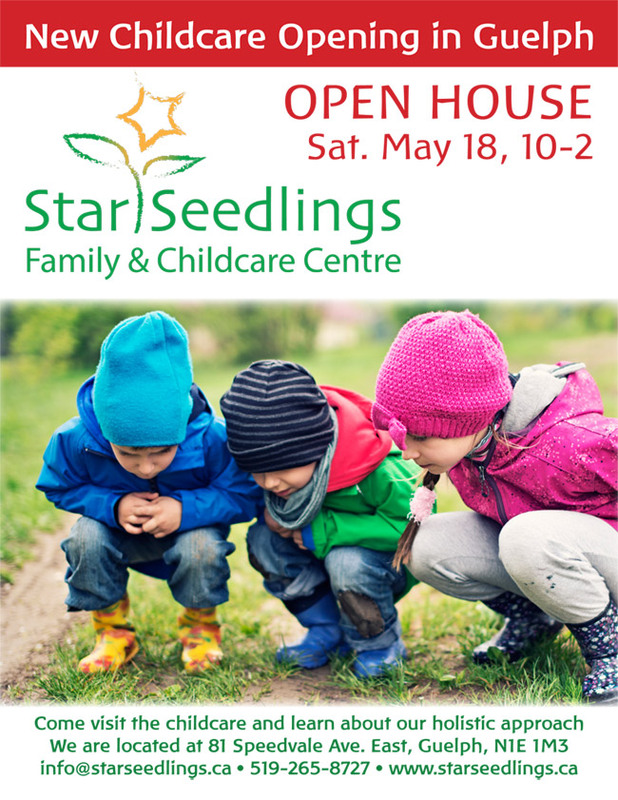 The Star Seedlings Family and Childcare Centre in Guelph, is looking to open in spring 2019. © Copyright 2019 RSCT Inc. All rights reserved.